We are a top-notch organization, engaged in providing Filter Covers and Assemblies. We are a top-notch organization, engaged in providing Filter Cover Assembly. Hydraulic Cover Assembly is a filter designed to remove contaminants from engine oil, transmission oil, lubricating oil, or hydraulic oil. Our reputed entity is engaged in supplying Filter Cover Assembly. In order to meet excellent quality standards, we are supplying Filter Cover Assembly. We provide all type of Filter Cover Assembly/Plate the best quality Filter cover assembly. 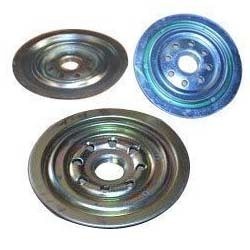 Assembly is manufactured by our proficient experts using the top quality raw material and Zinc. Banking on our enriched industry experience, we are able to supply Filter Cover Assembly. We are amongst the most reputed names in the industry, offering Filter Cover Assembly.